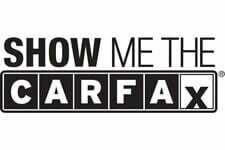 JUST THE WAY WE SEARCH THEM OUT AT THE MID SOUTHS GO TO GUYS FOR TOP QUALITY SOUTHERN CERTIFED PRE OWNED TRUCKS AND SUVS....2-OWNER CLEAN CARFAX WITH A SOUTHERN HERITAGE...JUST 117K SOUTHERN CERTIFIED MILES....A WHOLE LOT OF SOUTHERN SUV FOR THE MONEY! ....AND 31 CARFAX CERTIFIED SERVICE RECORDS....FROM TENN/ALA.IN YOUR FREE CARFAX....NO RUST HERE! CREDIT PROBLEMS?? FIRST TIME BUYER?? HURRY IN OR CALL 615-859-9400 TODAY BEFORE SOMEONE GETS YOUR 2007 TOYOTA RAV4 4WD LIMITED!! !